Search.searchuts.com is the PUP that uses misleading techniques to prevent removal. Use Reimage to locate malicious components and get rid of them faster than with uninstall instructions. A full system scan blocks virus reappearance and prevents traffic to malicious domains. 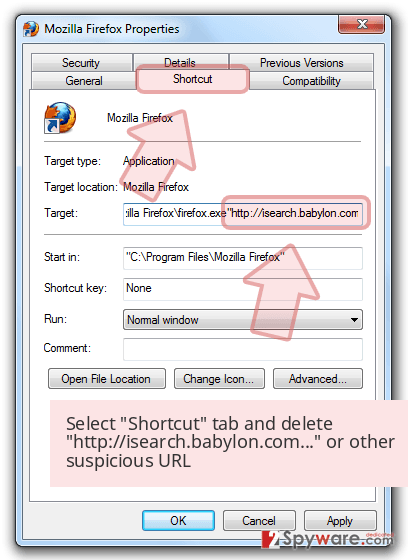 Search.searchuts.com virus is a typical browser hijacker developed by Polarity Technologies, Ltd. Security experts identify it as a potentially unwanted program (PUP) that alters browsers’ settings to set hxxp://search.searchuts.com as default home and new tab page. Consequently, the victim encounters that page every time he opens browser or a new tab in it. The page presents a search engine that uses a special algorithm to display particular search results based on user’s interests. This search engine works together with the browser hijacker that victims install, and this hijacker collects certain information during user’s browsing sessions. Usually, it tracks user’s search queries, analyzes list of visited websites, time spent on particular websites as well as ads/links that convinced the victim to click on them. Finally, collected data is used to select certain third-party ads and integrate them into Search.searchuts search results. 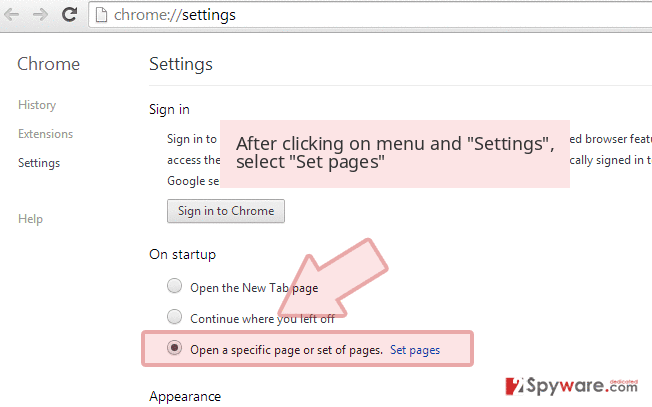 Clicking on them causes redirections to pre-determined web pages. 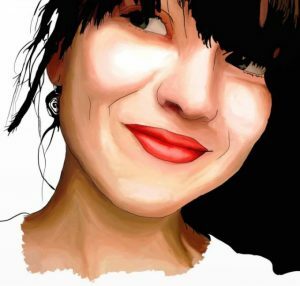 This way, the hijacker successfully drives traffic to affiliate websites that pay for each visitor(pay-per-click), sadly, no one can guarantee you that these external pages are safe to visit. By entering them, you put your privacy at risk, because you can never know how these sites collect your data. Besides, they can provide vague downloads and shady links, and if by any chance something lures you into clicking on them, you can unwillingly infect your computer with dangerous programs or be taken to another and more critical website. If you would like to avoid such risks, better remove Search.searchuts.com redirect virus from your PC. It can only make you undergo negative effects of a browser hijack, such as unsatisfactory browsing experience. For removal of this questionable freeware, we suggest using anti-spyware software like Reimage. 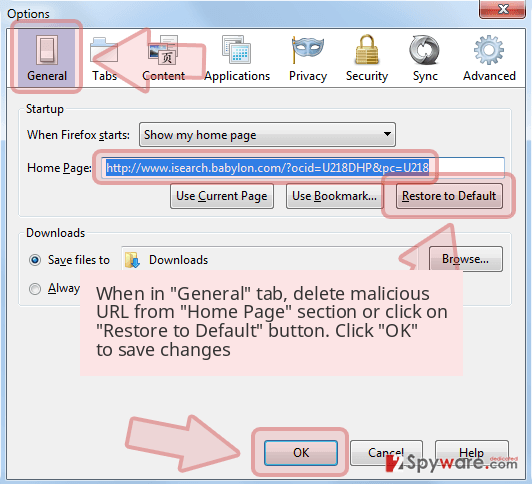 It can help you to eliminate programs and browser extensions associated with this shady hijacker in minutes. If you’re not interested in system security software, you can try to carry out Search.searchuts.com removal guidelines that our team added at the end of this article. 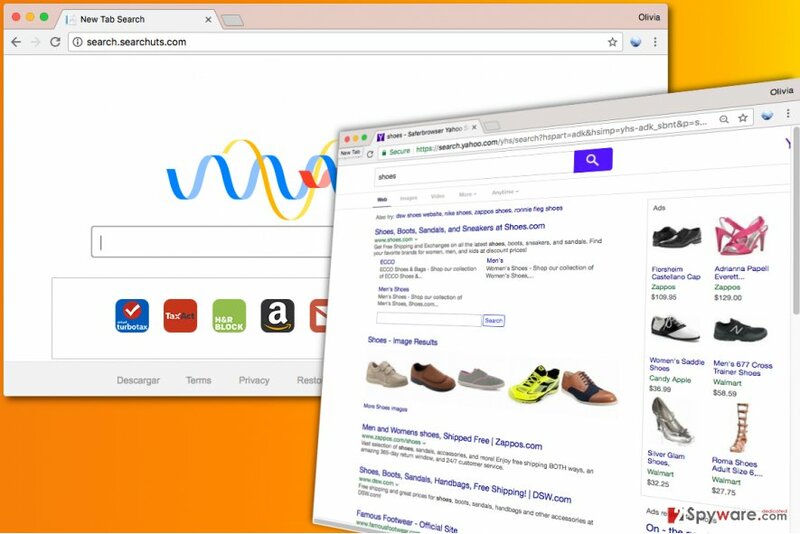 Browser hijackers such as Search.searchuts are usually distributed with a help of other free programs, for example, games, download managers, and other applications that can be downloaded from the Internet anytime. Users often inadvertently install them along software that fails to adequately unveil presence of programs bundled with them. If you want to keep potentially unwanted programs away from your PC, choose Custom or Advanced installation settings and manually opt-out all additional programs that are not part of the software you wanted to install. Remember that Default and Standard options won’t give you a permission to decompose the software pack in case you’re dealing with one. 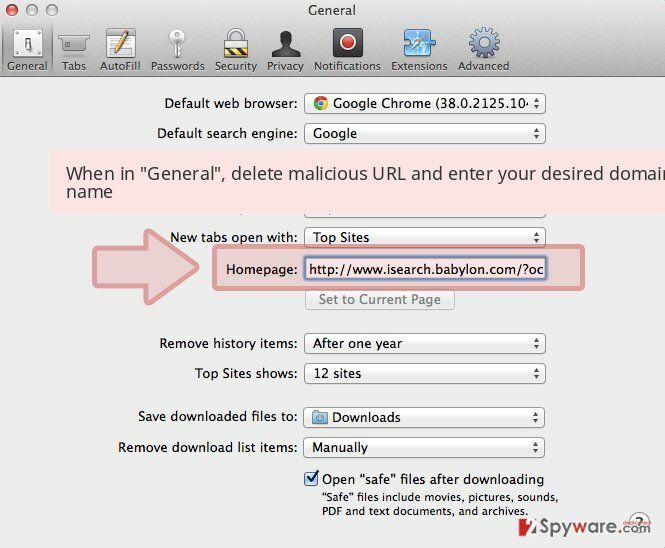 People can easily remove Search.searchuts.com virus using anti-spyware programs, however, more and more people are willing to test their skills and try to delete PUPs manually. Speaking of PUPs, it is possible; however, when dealing with critical programs that belong to malware category, professional tools must be used. Instructions provided below will guide you through Search.searchuts.com removal, so make sure you follow them attentively. Get rid of software created by Polarity Technologies, Ltd. This company is associated with many browser hijackers, and the one that’s in your browser right now is also a product of it. 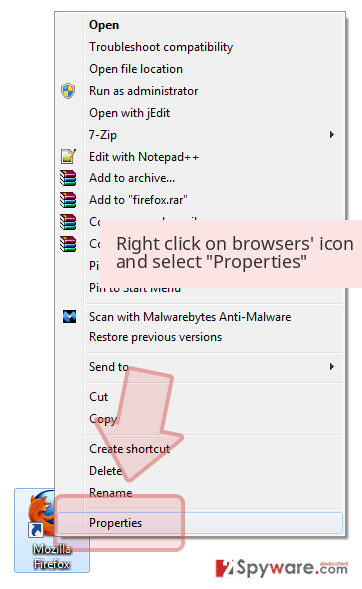 Follow these instructions and eliminate all shady programs that shouldn’t be on your PC right now. Here, look for Search.searchuts.com or any other recently installed suspicious programs. Wait until you see Applications folder and look for Search.searchuts.com or any other suspicious programs on it. Now right click on every of such entries and select Move to Trash. When in the new window, check Delete personal settings and select Reset again to complete Search.searchuts.com removal. Once these steps are finished, Search.searchuts.com should be removed from your Microsoft Edge browser. Firefox often allows potentially unwanted programs to affect it in a negative way. To solve the problem, follow the instructions provided below. Here, select Search.searchuts.com and other questionable plugins. Click Remove to delete these entries. Now you will see Reset Firefox to its default state message with Reset Firefox button. Click this button for several times and complete Search.searchuts.com removal. Here, select Search.searchuts.com and other malicious plugins and select trash icon to delete these entries. Click Reset to confirm this action and complete Search.searchuts.com removal. 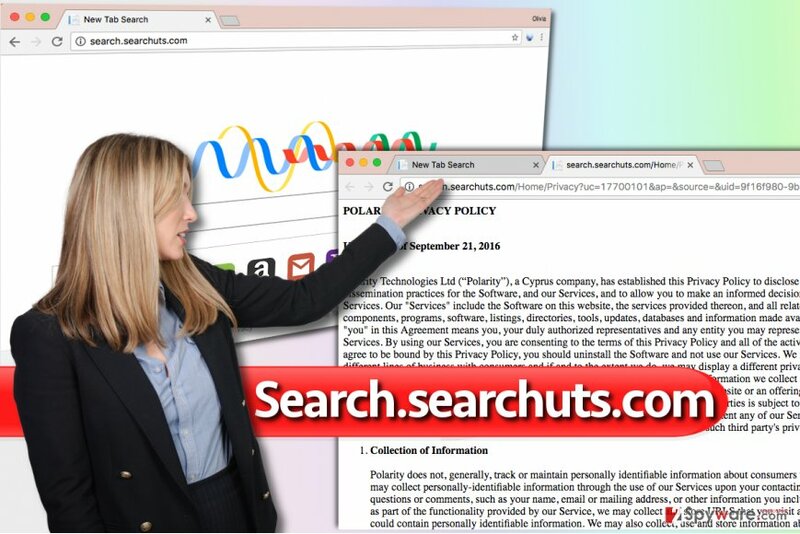 Here, select Extensions and look for Search.searchuts.com or other suspicious entries. Click on the Uninstall button to get rid each of them. Here, look at the Homepage field. If it was altered by Search.searchuts.com, remove unwanted link and enter the one that you want to use for your searches. Remember to include the "http://" before typing in the address of the page. Now you will see a detailed dialog window filled with reset options. All of those options are usually checked, but you can specify which of them you want to reset. Click the Reset button to complete Search.searchuts.com removal process. ^ Watch out for the latest in browser hijackers – Qtipr.com, Motious.com and Launchpage.org. eSolutions. Latest Company News and IT Security News. ^ 10 Ways To Avoid Phishing Scams. Phishing. Resource for IT Professionals and Their Users to Keep Informed About the Latest Phishing Threats and How to Avoid Becoming a Victim. This entry was posted on 2017-04-27 at 08:32 and is filed under Stealing programs, Viruses. You can quickly scan the QR code with your mobile device and have Search.searchuts.com virus manual removal instructions right in your pocket. How did you remove Search.searchuts.com virus?